"As an activity director it's very rewarding to see the reactions and expressions from the residents, especially those unable to otherwise take part in day to day activities." 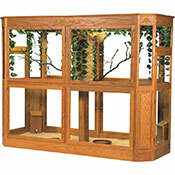 Which aviary is best for us? Number of beds? 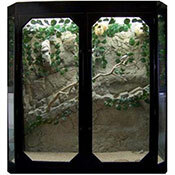 Layout of your home? Skill level of your residents? 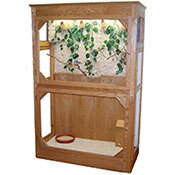 Some of the questions to consider as you choose your aviary. 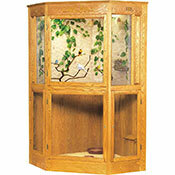 Our aviaries are designed to meet the needs of the birds, so your decision can be based on resident needs. 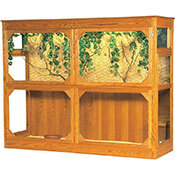 Feel free to consult with our trained staff for assistance in choosing the ideal aviary for your needs. Keep in mind, bigger is usually better. 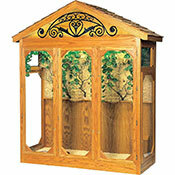 Think of looking at a beautiful outdoor scene. Everyone can be looking through one small window or a large picture window. 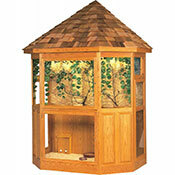 It’s the same with our aviaries. 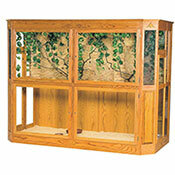 How do I choose a location for my aviary? 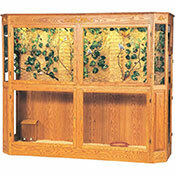 A Living Design aviary is like a warm fireplace...it draws people to it. You'll want to choose a location where residents and visitors can enjoy the birds without blocking traffic. 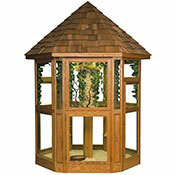 Our aviaries are all handcrafted in South Dakota; standard or custom built of oak or hardwood of your choice; color stains to match your Home. 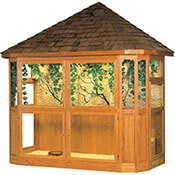 All our aviaries are treated with non toxic fire retardant as required by state and federal regulations. 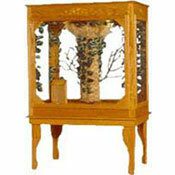 Our unique lighting system replicates natural sunlight, necessary to maintain optimum health of the birds. The automated system requires 110v grounded outlet. 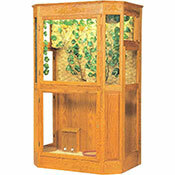 Key locked to prevent unauthorized entry, the aviaries are built on heavy duty casters for ease of movement.